2011 wasn’t necessarily a bad year for movies. Sure, it looks poor when compared to 2010, which boasted both “Black Swan” and “The Social Network.” Just like any other year, 2011 had too many great movies to fit on just one list but as always, I will try. 1. War Horse- Once the ending credits rolled and I finally found the emotional strength to leave the theater, a thought immediately rushed into my head that was so contagious that it simply wouldn’t go away: “War Horse” is the year’s best movie. The common theme of 2011 was nostalgia and Spielberg brought “War Horse” past its roots into a tribute to the great film epics of the past. Every emotional note hits its mark seamlessly here. The ending itself is enough to reduce any film buff to tears. Its journey into the crushing soul of war and then back again is as rewarding a journey as you’ll take this year. Most times, I would deem a film like “War Horse” as a pandering attempt to win Oscars. This time, I call it the best film of the year. 2. Midnight in Paris- Every few years, Woody Allen has another supposed comeback. However, “Midnight in Paris” is the real thing, and it ranks near “Annie Hall” and “Hannah and Her Sisters” as one of his absolute best. A struggling writer (Owen Wilson, a perfect Woody Allen stand-in) vacationing in Paris looks for answers in the past, and through a thankfully unexplained gap in the space-time continuum, ends up in 1920s Paris, talking to the likes of Ernest Hemingway and F. Scott Fitzgerald. 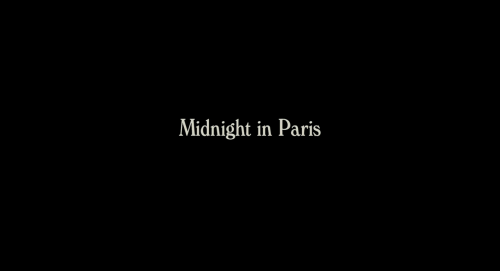 “Midnight in Paris” is the most thoughtful, inventive, and overall, entertaining comedy of the year. And it achieves both of these things by being neither too dark nor too light-hearted. No matter what city he is in, and no matter how old he gets, Woody Allen’s wit, insight, and grasp on human conversation never cease to amaze me. 3. The Girl With The Dragon Tattoo- I might have spoken a little too soon when I deemed this the best movie of the year a few weeks ago. Then again, Facebook isn’t necessarily the best form of communication. “The Girl With The Dragon Tattoo” is still among the most extraordinary films of the year. It’s an old fashioned film noir wrapped in crisp digital cinematography, a haunting score by Trent Reznor and Atticus Ross, and mesmerizing direction from David Fincher. It is most notable, however, for recreating Lisabeth Salander and making her the female hero the Digital Age. Rooney Mara gives the bravest performance of the year and in one scene, pulls off an act that is shocking even in a time when being shocking and controversial proves all the more difficult. Due to very poor scheduling during a crowded weekend at the end of the year, “The Girl With The Dragon Tattoo” still cannot find the audience it deserves. Yet, the sequel is still in the works. The more time I can spend with Salander and the rest of the “Dragon Tattoo” universe, the better. 4. 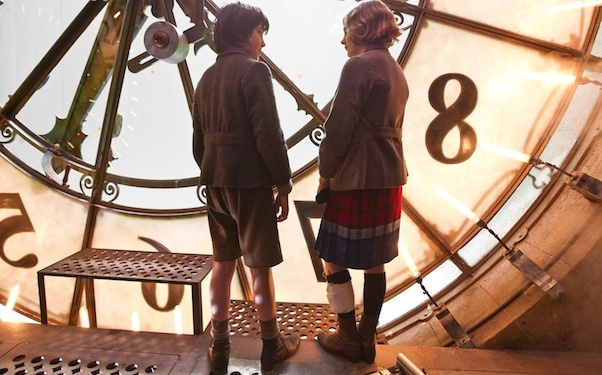 Hugo- “Martin Scorsese made a children’s movie” was the hype surrounding the release of “Hugo.” What everyone should have been saying is, “Martin Scorsese made another classic.” “Hugo,” a movie about the preservation of movies, plays into this year’s theme of nostalgia. Perhaps Hollywood’s answer to trying to improve the state of movies was to look toward the past. If so, it is working. It also helped that “Hugo” is the only movie I’d encourage anyone go see in 3D, as it actually adds to rather than detracts from the story. It is the most entertaining lesson in film history you’ll ever get. “Hugo” might just give birth to a whole new generation of cinephiles. 6. 50/50- …but that doesn’t mean a happy ending is a bad thing. Great stories run on hope. 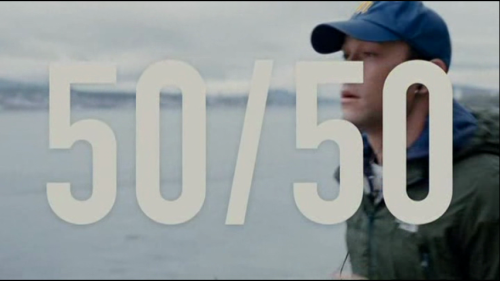 “50/50″ is a cancer comedy about living. Writer Will Reiser turned his struggle with cancer at a young age into an unlikely story about beating the odds. The mark of change is letting a negative life experience influence change for the better, and there is no better way to reflect on the past than to find the humor in it. Everyone in the cast is totally in their element, most notably Angelica Huston, Seth Rogen, and Joseph Gordon-Levitt. The scene in which Gordon-Levitt shaves his head is the bravest thing I’ve seen an actor do on camera this year aside from what Lisabeth Salender does to get revenge on her tormentor. Funny, thoughtful, and spontaneous, “50/50″ is all the better for examining life through a comedic point of view. 7. The Artist- “The Artist” is more than just that silent movie: it is the year’s most indelibly entertaining film. 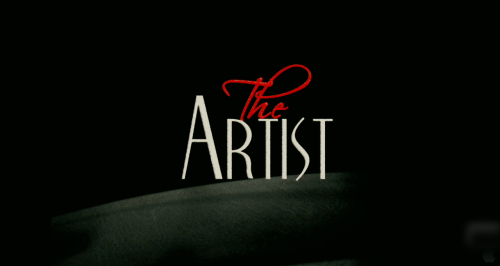 The clever sound and image play throughout bring “The Artist” to a whole different level of inventiveness. This is both a cinephile’s and a nostalgic’s paradise. This film is essentially timeless in scope and story. Its characters are broad yet so memorable. Leads Jean Dujardin (as George Valentin) and Berence Bejo (as Pepe Miller) have the best chemistry I’ve seen this year. Chemistry is when two actors play off each other naturally and even when the two aren’t together, there seems to be an electrifying force between them that will eventually bring them together. The third act might be a little overlong, but it is worth it for the ending, in which the true reason for Valentin’s refusal to speak is revealed. 8. Terri- One of the most overlooked movies of the year that is also one of the year’s best, “Terri” is a weird (in the best sense of the word) little story that is also weirdly inspired. Maybe no one wanted to see it because the idea of a protagonist who gets excited by watching a hawk catch its prey isn’t exactly enticing. Yet the always pajama-clad Terri (Jacob Wysocki) is funny and sincere in an unexpected way. The friendship he forms with the principal (John C. Reilly) feels the exact same way, which is why it was the most believable bond seen on screen this year. “Terri” in general doesn’t seem like the kind of movie that was ever after major awards or box office success. That’s why it feels so pure, and why the relationships it portrays feel so real. 9. Bridesmaids- Most critics put “Bridesmaids” on a ridiculous pedestal as the greatest achievement in feminism since women’s suffrage. Now that the buzz has subsided, “Bridesmaids” can finely step down and be recognized for what it is: an insanely hilarious and even touching big studio comedy. It took me a second viewing to realize that this is not a movie concerned about getting a story across, but rather about stretching a bunch of strange characters and awkward situations to their possible limits, an experiment just to see how long an audience can laugh for. This is why it is even better that they chose to let Kristen Wiig’s drunken airplane tirade go on instead of letting the girls go to Vegas. The astounding success of this movie is a triumph in many ways, especially because it fast-tracked the career of director Paul Feig (“Freaks and Geeks”) and showed that a raunchy but honest movie about friendship could connect with audiences. Kristen Wiig and Melissa McCarthy, welcome to stardom. 10. The Tree of Life- Long after its release, “The Tree of Life” is still the most ambitious movie of the year. Even though I am still struggling to figure it all out, I continue to admire the beauty and subtle simplicity of Terrence Malick’s vision. As Malick’s career has advanced, his films have gotten bigger in scope, yet more obscure in message. 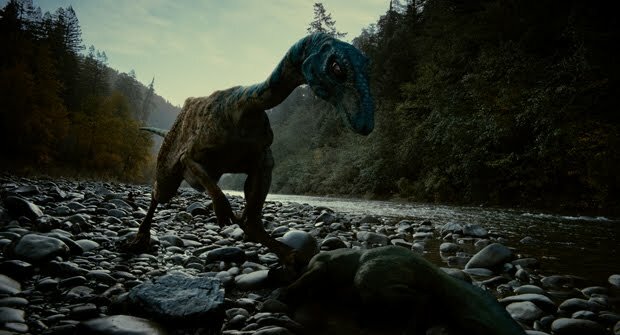 By setting this story of a Texas family coming of age in the 1950s against the backdrop of dinosaurs and the creation of the Earth, the characters are not just products of that era in American history, but struggling, clashing creatures trying to find the answers to everything and only being able to guess as to where are the right places to look. 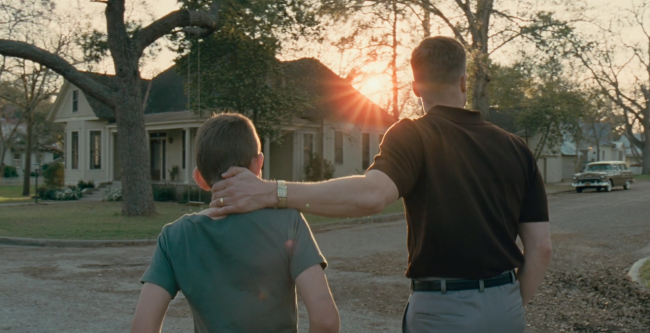 If Malick is God of this film, then the camera is his non-judging lens looking onto all of humanity. “The Tree of Life” is neither a pretty Windows screensaver nor “The Tale of Scrotie McBoogerballs”, but rather the work of a famously private director who will only shares himself through his one-of-a-kind films. 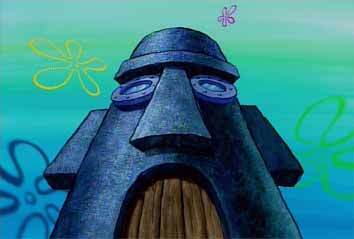 Worst: Cowboys & Aliens- This epically dull sci-fi blockbuster included an alien spaceship that resembled Squidward’s house. That is all. All movie title card images were found on this awesome website. This entry was posted in Best Movies, Best Movies of 2011, War Horse on January 10, 2012 by ian0592. Havent seen war horse, TGWTDT, Young Adult, 5050, terri, or bridesmaids yet. tinker tailor is the best of 2011, you myst see it. i loved drive, but i agree with you that its a little overrated (still amazing though). loved descendant and ides of march, but moneyball was extremely overrated. super 8 was good, not great. muppets was fun, havent seen crazy stupid love or the guard. source code was ok. still havent seen melancholia, a seperation, shame, like crazy, or take shelter, but they all sound good. not interested in incredibly loud and extremely close… or is it extremely loud or incredibly close? whatever, doesnt look that good anyway.